Reason 10 Review - The Answer To Your Experimental Dreams? 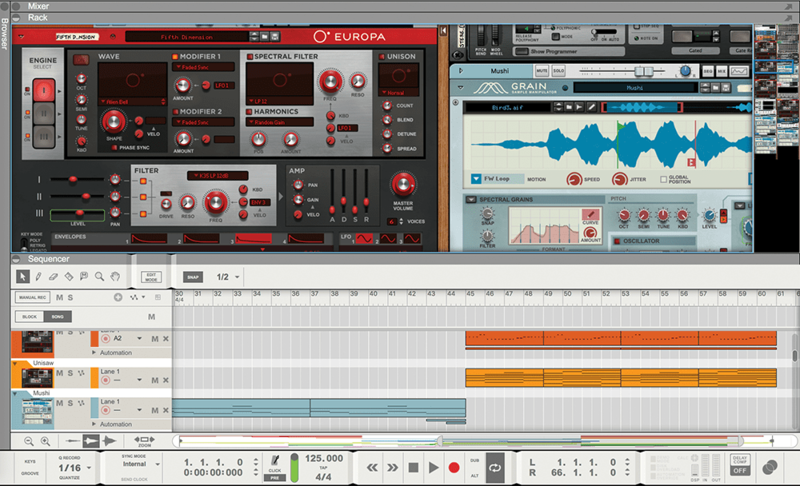 Propellerhead Reason 10 Review – The Answer To Your Experimental Dreams? I’m not sure if the Prop’s video on its website announcing Reason 10 is tongue in cheek – it very probably is – but it implies that we all want ’MORE’ from Reason. More instruments, more samples, just more… stuff. I can’t say I’ve been asking for more, especially given Reason 9.5 added VST support, effectively opening a door of my hard drive to the software, allowing it access to the many brilliant (and not so brilliant) VST instruments and effects that lie within. That was perhaps the biggest news in Reason’s history, but with the arrival of Reason 10, it’s all-but forgotten. 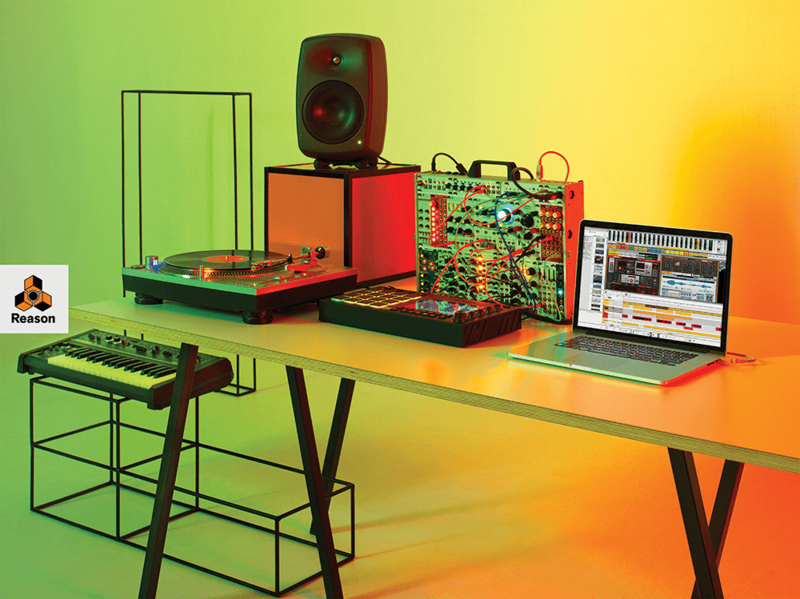 What this version of Reason brings to the party is more – a lot more. It’s like Reason 10 has turned up with a Party Seven tin of beer (if you’re under 50, that’s seven pints of rough-tasting booze in one can) and a six-pack of White Lightning (that’s… oh, never mind). It does only seem like a few months ago that I reviewed 9.5 – because it was only a few months, six to be precise – and while that was all about VST integration, v10 is all about that added stuff. Little else has changed, so don’t go expecting any workflow tweaks. And why would you? Reason works as smoothly as the double-digit version number implies it should. So, to the content. The new instruments are a couple of synths, three sample-based instruments, a couple of Rack Extensions and a load of loops and hits. The content for all of these amounts to a 6.7GB download (which you do by way of the Manage Content window) and Reason 10 itself is a 3GB download. So it’s heftier than usual, but R10 is all about those extras. We’ll start with Europa. This is described as a Dynamic Wavetable synth and comprises three Engines, each of which starts with a wave with modifiers, and a digital-style Spectral Filter. There’s a stack of modulation options, four envelopes, three LFOs and six effect modules. Europa can sound incredibly varied, but there’s no doubting its EDM target – there are some huge sounds, lots of ’Epic’ this, ’Hyper’ that and ’Hard’ the other. 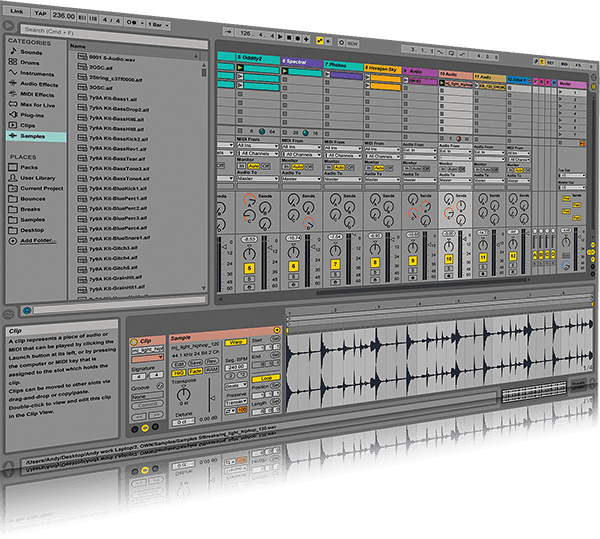 If you like big, in-your-face tunes, then Europa is probably going to be your Reason 10 highlight, but it would be a shame to consign it just to this area of music production. Presets such as FACT Lead point to a more Boards Of Canada -inspired dream land and, while looking (and sounding) initially complex, Europa is certainly easy to experiment with and will reward such tinkering. Next up is Grain. 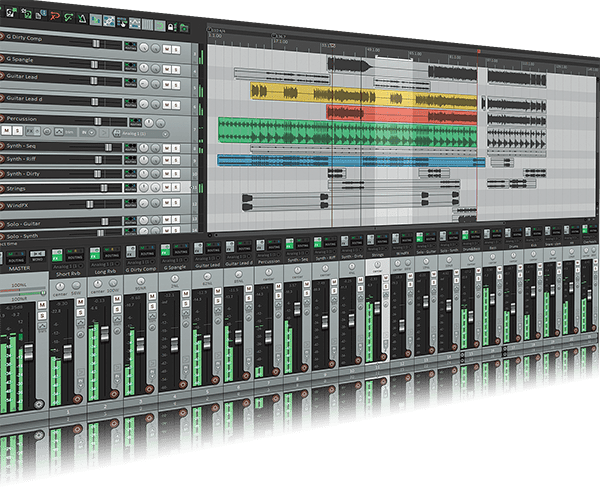 Here, we’re talking another complex-sounding beast, but it’s really relatively straightforward – indeed, it shares many features with Europa, including three LFOs, four envelopes and the effects. However, the heart of Grain is very different. It’s based around samples – preset or your own – being loaded in, and played in different ways (Tape, Spectral Grain, Grain Oscillator or Long Grain). How it sounds is pretty much up to you, then, but what it’s capable of is really quite outstanding. This is my kind of synth, in many ways, as it will have you playing pretty magical and out-there sounds in no time. I quickly loaded in some of my favourite drum loops, for example, and under the Grain playback, they suddenly become anything but beats and just about every control shifts the atmosphere radically. This is my R10 highlight. The kids and their EDM can go to Europa, I’m going with the Grain. 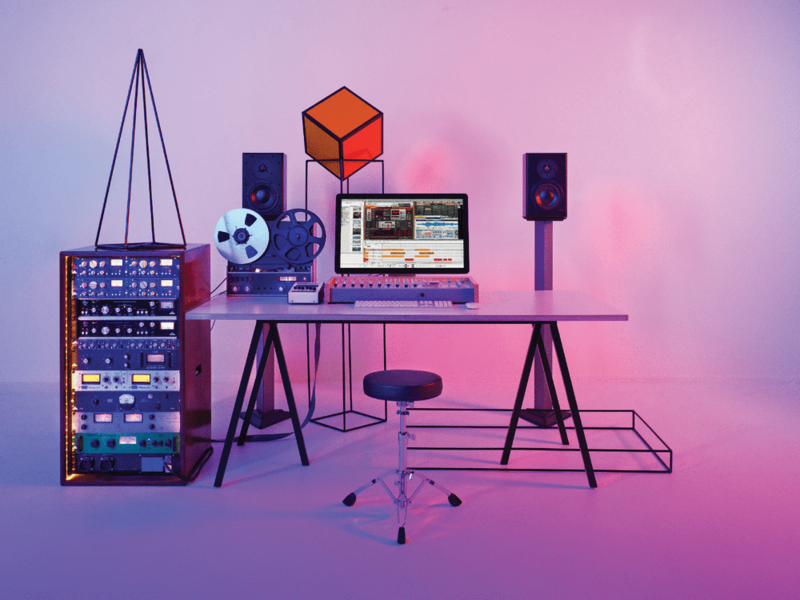 Rack Extensions aside, Reason has historically been more associated with electronic music than any other genre and the next three instruments are certainly designed to change that perception. Klang, Pangea and Humana are sampled instruments that offer more acoustic or natural sounds above the electronic din. Humana offers vocal patches, Pangea a more worldly perspective and Klang, you might not be surprised to hear, is more percussion based. Klang includes tuned percussion instruments like the glockenspiel and kalimba, plus more unusual ones like wineglasses. With hands-on controls and effects, it’s perhaps more about what you can do to the sounds that will appeal to many (okay, me) and there’s enough here to experiment with. This is also true of the other two; I can’t say I have a big need for choirs, but used in combination with Reason’s effects, both could be the source for some great sound-design experiments. Lastly, on the instrument side of things, Reason 10 throws in a couple of Rack Extensions once sold for $149 for the pair: Synchronous and Radical Piano. I looked at Synchronous a while back and it’s a big modulation engine capable of adding lots of movement and animation to whatever you throw at it. There are Ambience, Filtered, Pumping, Stutter, Sweeps and Wobble-named effects, so you’ll probably guess what it can sound like, but it’s great for adding all sorts of dynamics. Radical Piano is a 370MB instrument which offers three types of piano with different mic’ing positions and, once you open up the extra tweakable parameters, can offer some more unusual keys sounds. Finally, there’s a few GB of samples included with Reason 10, called Drum Supply and Loop Supply, a couple of ReFills that include one shot samples and REX loops. 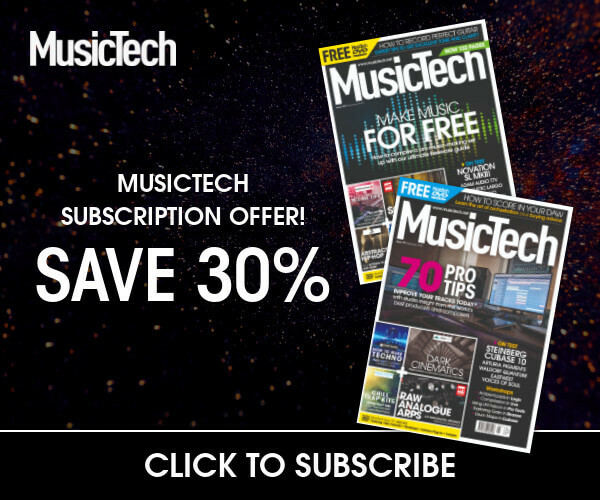 It’s easy to get blasé about samples, but there’s actually a lot of useful content here, with the beats in particular updating what Reason has on offer – which will be welcome news to many dance producers. If you’e looking to upgrade from any earlier version of Reason, then v10 seems like a great buy at €149, just for the instruments – certainly the power that both Europa and Grain offer alone seems worth it. Throw the rest in and it’s a steal. However, if you’re a recent 9.5 convert, you’re probably still enjoying all of that VST integration, so maybe you don’t need it just yet, but there is much here for the cash. Propellerhead promised more for Reason 10 in that video on its website and the company has delivered. The highlights are those synths, but the other instruments and Rack Extensions do offer a nice, round package that covers a lot of sonic areas. You get more Reason electronics with Europa and some spectacular possibilities with Grain, whereas piano, natural, vocal and percussive (acoustic and electronic) sounds are covered with the rest of the instruments and sample content. Whether, after the excitement of 9.5, you’re quite ready for another course of Reason instruments, is something only you can decide. I think it’s worth the upgrade price just for the two synths, but would understand those users who are still excited by the relatively new VST integration that v9.5 offered and are not ready to gorge on Reason 10 quite yet. Again, comparing Live and Reason is not something you can do directly, but Live certainly shares the easy workflow and smooth production ethic. 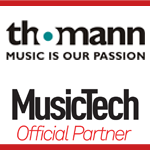 Both pieces of software will have you realising your song ideas in minutes.